I don’t believe you have to choose one over the other. As the mother of five children, I know getting them all into college will cost a pretty penny. I believe that if you’re savvy enough, you can carefully prepare a nest egg and put away for a quality education for your child. I’ve been using Upromise since 2006 to help seamlessly sock away a little cash here and there to make sure my kids have a fantastic future. I prefer to do most of my shopping online, and Upromise rewards me with a certain percentage back on almost every purchase I make at major retailers. While I am not always as aggressive as I could be with using the program, Upromise is one of those tools that you can easily use more of when you feel like getting serious with your college savings goals. While Upromise has a few different ways to earn money, the most common one is through its online shopping portal. Just yesterday, for example, I needed to buy my son a new pair of slippers. I knew that Payless had a 50% off sale on their winter shoes, so I first went to the Upromise website, made sure I was logged in, and did a search for “Payless.” I was given a link to continue on to the Payless site, and from there it was a typical shopping experience. Within 10 to 15 days, I will see 5% of my purchase at Payless credited into my Upromise account. I paid the same price I would have for the slippers anyway, and now I get money to help fund college education for my children. 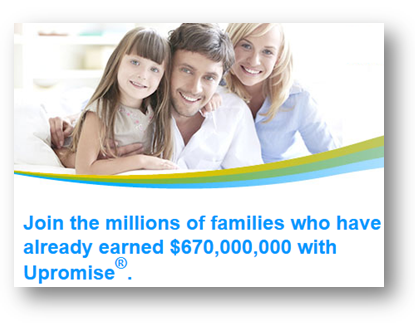 Upromise works with hundreds of online retailers, and you can earn 5% cash back from most of them. 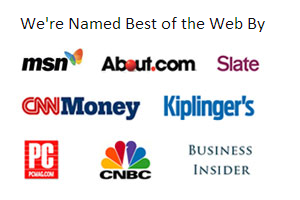 Some of the most popular online stores that work with Upromise include Walmart, Target, Best Buy, Dell, Staples, Kohl’s, Kmart, Walgreen, Sears, Macy’s, Sam’s Club, Overstock.com, Mac Mall, QVC, and HSN. If you register your grocery shopping card, you can download valuable eCoupons to use on your next shopping trip. I can link my Upromise account to my Hy-Vee shopping card, for example, and download a $1.00 coupon for a purchase of Charmin toilet paper. When I buy the Charmin on my next trip and have the cashier scan my shopping cart, $1 will be credited to my Upromise account. There are new eCoupons being offered all the time, and the electronic card scanning means I don’t have to clip paper coupons. Most of the large supermarket and drugstore chains are part of this program, like CVS, Rite Aid, Safeway, Kroger, Tom Thumb, Vons, Ralphs, Dominick’s, and Publix, just to name a few. Up to 8% cash back for dining at one of the thousands of restaurants nationwide that participates in the Upromise program. 1 cent for college per gallon of gas purchased at Exxon and Mobil locations when you buy a total of 20 or more gallons in a calendar month. Simply have them sign up via your invitation and let them choose what percentage of their earnings to contribute, and your kids can get their college expenses paid for even faster. Upromise earnings of $25 or more can be put into a qualified 529 plan on a quarterly basis. Each quarter, Sallie Mae student loan holders can also choose to have their balance of $10 or more put toward their loan accounts. Upromise isn’t meant to replace a dedicated plan for saving for college. I still encourage my kids to put away 30% of all their allowance, job earnings, and gift money to help pay for their education. What Upromise can do is help plump up your savings and make it easy to put money away during even the hardest of times. With many of my friends and family members out of work, it’s easy to just blow off college savings as a goal for better times; Upromise lets me keep my savings momentum going even when the going gets rough. I like that it helps increase the value of my dollar and puts the extra earnings into funding my greatest passion – my children. Make a list of sites you typically shop in a month, and search to see that they are supported on the Upromise site. If you make regular purchases from a Upromise-supported retailer, make a note on your shopping list to log into Upromise before you shop. Keep those cards in your wallet so that you have them when you dine out or fuel up your vehicle. When you do your next coupon “clipping” session, check the Upromise site to see if there are any eCoupons available to load onto your shopping card. Like any good savings habit, it may take a little time to adjust your shopping behaviors to get the most benefits from your new account. If you’re like me, however, you think your kids’ education is well worth it, and a growing Upromise account balance is a reward you can feel good about providing for the next generation. This article was made possible by support from Sallie Mae.